A sweet teacher emailed me and asked me if I ever used journals – and, if so, how? 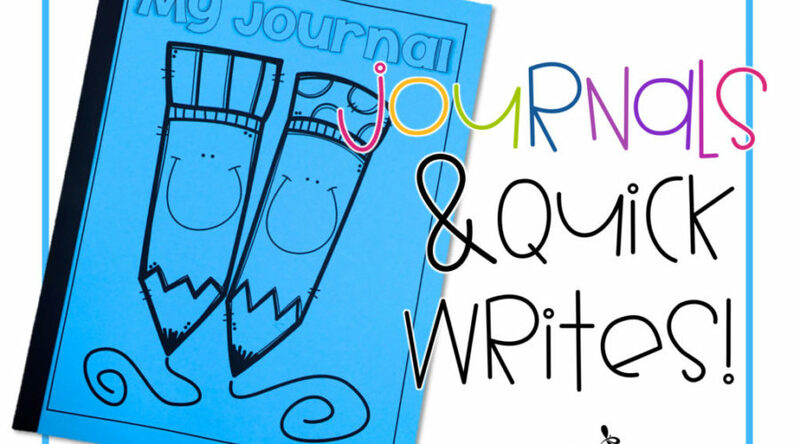 Quick-writes are great, easy journal activities for all age levels and if given enough inspiration – the kids really do write quickly. It provides a quick, daily practice for basic writing and grammar skills. In fact, we do a lot of quick writes in class. Quick writes and complete sentence responses are also great during ELD lessons. One of the questions on the CELDT (California English Language Development Test) is to describe everything that is going on in a specific picture. This is actually a fabulous assessment for all students, regardless of language. The point is, the kiddos are looking for details and utilizing complete sentences to 1) Stay on topic and 2)Demonstrate mastery of sentence structure, complete thoughts, and proper punctuation. Since that’s a common first grade standard, the lessons work great for all of the kiddos. Fun photos are my favorite things to use for quick-writing inspiration. Often I display a photo, then draw random names of students and have them tell me complete sentences about the picture. This method is perfect for Kinders and beginning of the year first graders. As the kids develop their writing skills and speed, the kiddos are asked to write 3 (or more or less depending on the group) sentences about the picture. Upon completion, the kids trade the journal or quick-write with their partner. Their partner circles the capitals and periods and gives happy faces for proper spacing with their red pen. If all of the sentences make sense and are on topic, the partner also gives the owner of those sentences a SUPER SMILEY on their page… which is nothing more than a gigantic happy face. My firsties LOVE those huge happy faces and work hard to get them. This is my Pinterest board where I pin and repin a whole lot of fun writing inspiration finds. Please feel free to follow it to use with your kiddos. A lot of what I find is Photoshopped – but I don’t care. That just makes the photo more interesting, funny, and/or thought-provoking. I used to collect pictures to show the kiddos. But all off the fabulous things people put on the internet and share on Pinterest has made this job so easy! Printed out – these pics are GREAT for the writing center/station/writing Daily 5 element of your literacy block.“MY JOURNAL” is a FREEBIE! Check it out. Click the plans below to enlarge them and get a better look. 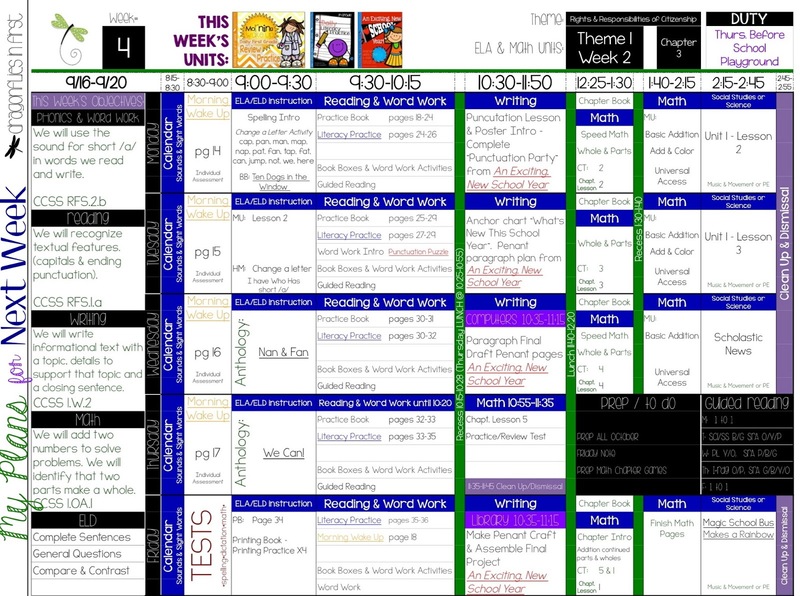 Click HERE to grab a copy of my planner sheet. The download is a “clickable” .pdf so you’ll be able to visit the blog posts about many of the various items I have included in my plans for next week. 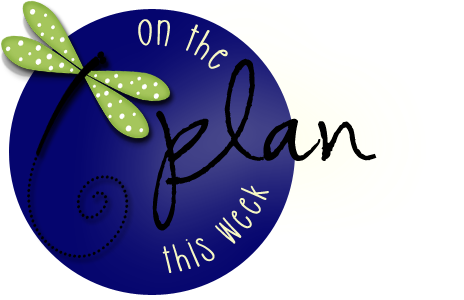 Check out Deedee Will’s “Peek at My Week” linky party for some other plans for the week. Have a fabulous week, peeps! fabulous idea 🙂 I've been looking for inspiration to get more detail from my grade 1s in their writing!